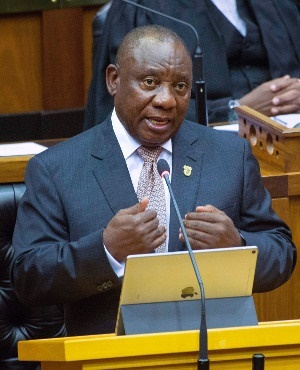 Business Unity South Africa has praised President Cyril Ramaphosa’s State of the Nation Address for prioritising economic growth and fighting corruption that has dogged government and state-owned entities. The president delivered the address, which focused heavily on plans to grow the economy, on Thursday evening to a joint sitting of both houses of Parliament. Ramaphosa, as had been anticipated, announced plans to split state-owned power utility Eskom into three separate entities in an effort to improve its finances. He also said government would step in to support Eskom's balance sheet, but did not provide details. Busa commended Ramaphosa’s "commitment to deal with corruption", as well as responding to the revelations coming out of the commission of inquiry into state capture chaired by Deputy Chief Justice Raymond Zondo. This after the president announced plans to create a new investigating directorate in the office of the National Director of Public Prosecutions to deal with "serious corruption and associated offences", which has drawn comparisons to the disbanded Scorpions. "In broad terms, the Directorate will focus on the evidence that has emerged from the Zondo Commission of Inquiry into State Capture, other commissions and disciplinary inquiries," said Ramaphosa on Thursday. Busa said the new unit would, in time, "go a long way in combatting corruption and put an end to looting". The business lobby group also praised the address for providing markets with certainty. "The speech is unequivocal in sketching South Africa’s national priorities and unambiguous about its policy direction, as well as setting the country on the course to become a dynamic future-oriented economy," its statement said. While Eskom is the most pressing case among state-owned entities, Busa said the government also had an opportunity to take decisive action on parastatals to ease pressure on state finances. Sakeliga, an independent business community formation, said that Ramaphosa’s announcement on Eskom would do nothing to address its underlying issues. "This is especially true if each of those [three new] companies are, in themselves, state monopolies in their respective areas as well." The group said the true problem lay deeper than the utility's management or corporate structure, saying Eskom had been sheltered from free market competition for too long. The Cape Chamber of Commerce and Industry, meanwhile, said the address was "courageous" but added that implementing proposed changes would bring the president into conflict with members of the ruling alliance. “The big threat is from the unions at Eskom who have already shown that they are willing to strike and obstruct coal deliveries no matter how much damage this will do to the country,” said Ms Janine Myburgh, President of the Chamber. This after Numsa, one of three recognised unisons at Eskom, said it would "meet Ramaphosa in the streets" to defend Eskom from what it argues is essentially a looming privatisation.